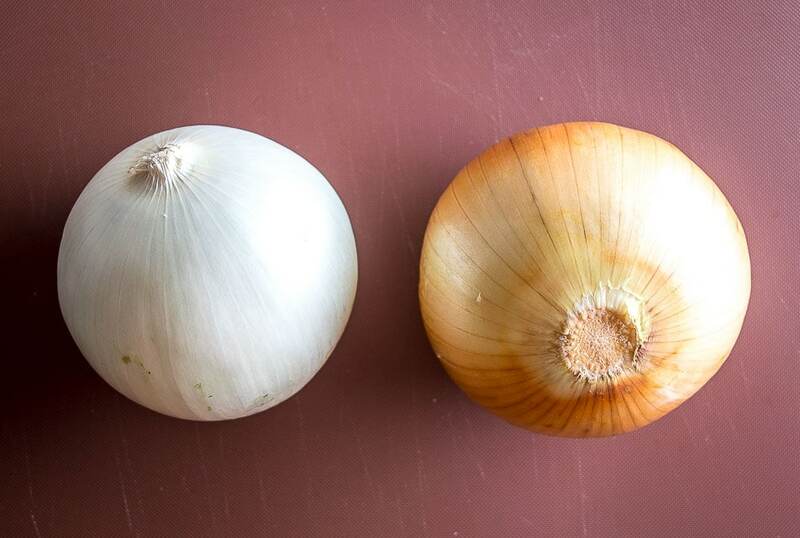 Which Onion Should I Use For Mexican Recipes? 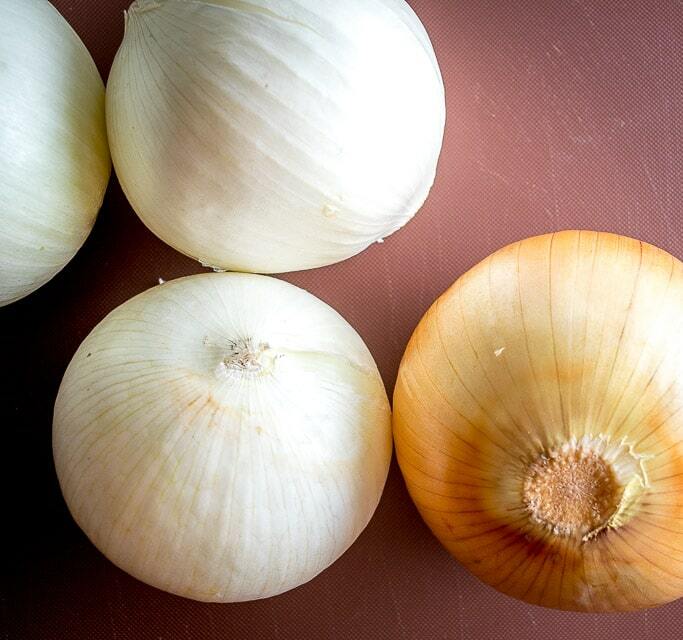 Wondering which onion you should use for that Mexican recipe? Well, you’re in the right place! The easy answer is…stick to white onions! The longer answer is…white onions are more commonly used in Mexican cuisine but yellow onions are just as good in a pinch. White onions are sharper and more pungent than yellow onions. That scares some people but it works great for most Mexican dishes, so don’t be afraid of them! I think white onions have a wider range of flavor than their brethren and this will give you some flexibility in the kitchen. I go through about ten white onions per week and use them in a variety of ways. 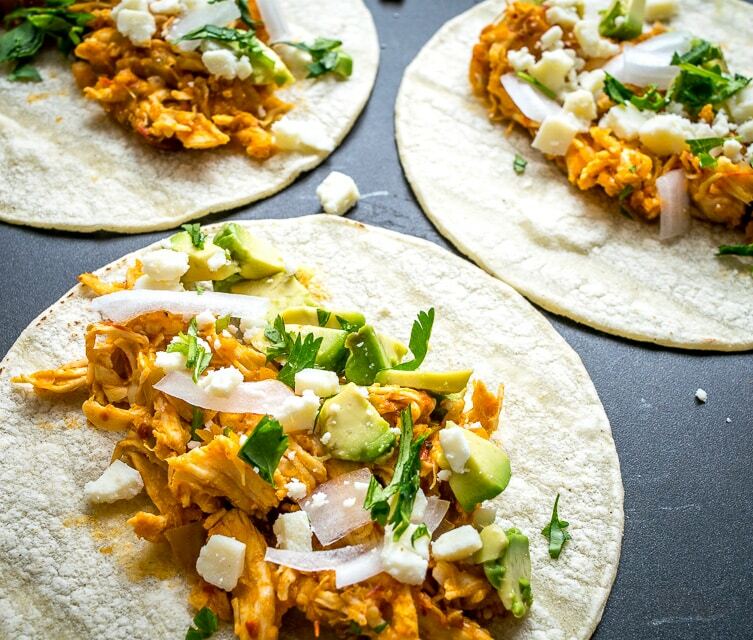 For example, raw onion is frequently called for as a final topping on Tinga Tacos. White onion is the most efficient way to get that sharp burst of flavor, and it only takes a light sprinkling of finely diced white onion to get you there. I also use raw white onion in all of my salsas. I prefer the sharpness and it seems to give the salsa a “bigger”, more savory flavor. For example, in this Tomato Jalapeno Salsa, I combine roasted tomatoes with raw onion. Keep in mind that many people will roast the onion to mellow it out a bit and you are welcome to experiment with that option. White onions will also sweeten up considerably when you cook them and I think this is another reason why they are so popular in Mexico. 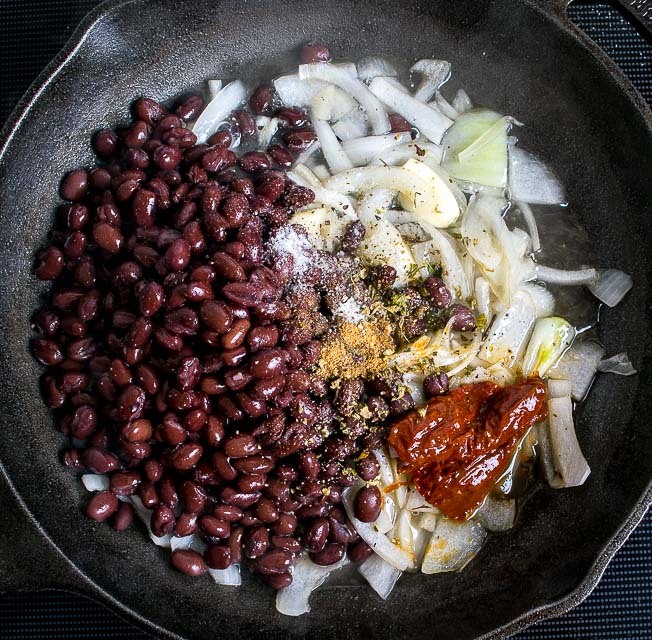 For example, in these Homemade Refried Beans, I always saute the onion in some oil for 5-8 minutes until it softens and lightly browns. This will sweeten it up considerably. I also do this when making tomato-based broths like Chicken Tortilla Soup and Albondigas Soup. But even after listing all of the benefits of white onions, you can still get away with using yellow onions whenever a white onion is called for. Yellow onions won’t be as sharp as white onions when used raw, but they will be pretty darn close. My local grocery store will sometimes run out of white onions so I always keep some yellow onions on hand as a backup. If that’s all that you have available then go for it, you can still get a great result using yellow onions. Red onions aren’t as common in Mexico as they are in the States, probably because they aren’t as strong! Red onions are milder by nature and that’s why you’ll frequently see them topping salads, sandwiches, etc. 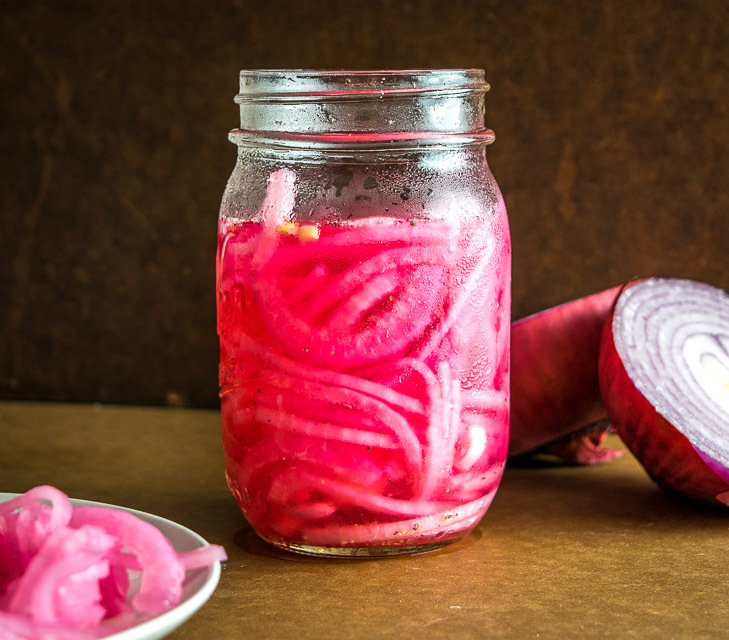 Of course, it’s more common to use red onions when pickling them and that’s what I do for our Pickled Onions. The sweet varieties of onions are rarely used in Mexican cuisine. In raw form I think these varieties are too sweet for Mexican salsas so I don’t buy them anymore. Did I answer all of your onion questions? I hope so! If not, feel free to get in touch with any questions. And to summarize — go for the white onions but keep a few yellow onions on hand as a backup. Good luck!